M-commerce or Mobile Commerce is the next gen of E-commerce that facilitates your clients to buy your goods as well as services with their mobile gadgets. We focus on a variety of M-commerce solutions like mobile reservations, QR codes, mobile payment processing, mobile online stores and a lot more. 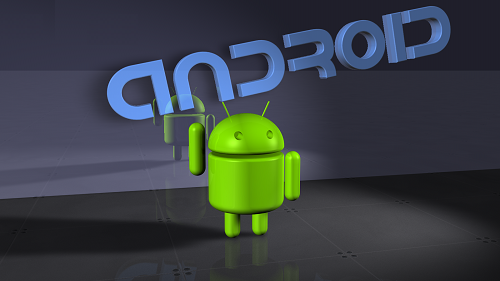 At Attri Digital, we comprehend the significance of Android and hence are in continuous touch with every one of the developments occurring in the field of Android app development online. Our consumer centered and result aimed approach assists us to convey premium products to our worldwide clients, assisting them in increasing their competitive vantage. We apply most up-to-date technologies and skill of our engineers to develop Hybrid Mobile Apps, iPhone Apps, and Android Apps based on the requirements of our clients. Our expert team and talented mobile app developers in India are well familiarized with Android SDK (Software Development Kit), Android LBS (Location based Services) Security Architecture, APIs and a variety of other technologies necessary to establish high-tech Android apps. At Attri Digital, our goal is to create mobile apps by mixing skills with a devotion to systematize the most uncomplicated and efficient applications. Our professional and quality obsessed team designs as well as develop premium and cost efficient mobile apps plus mobile websites. We have constantly succeeded in attaining larger efficiency and exceeded the expectations of our customers by timely and cost effective project delivery. Although pretty adaptable, the work to be performed by an Android software engineer is very intricate. Thus, it is essential that a competent team of a renowned Android App Designing Company in Delhi, India is employed. These teams should possess the necessary developer instruments so as to check and debug those applications. Our cost effective and inexpensive Android App Designing Services in Delhi, India suits the pockets of everyone based on their requirements. We realize every organization had their own custom prerequisites and aims hence we endeavor to attain same without any compromise on the quality. Being the Best Android App Development Company Delhi, India and top Mobile application Development Company in Delhi, Attri Digital has frequently beat its own formerly set standards while offering our clients the most excellent android app development services. Our wide-ranging Android applications have served across the vertices for instance e-commerce apps, Chatting Applications, Location services, IoT, vehicle tracking and a lot of more.